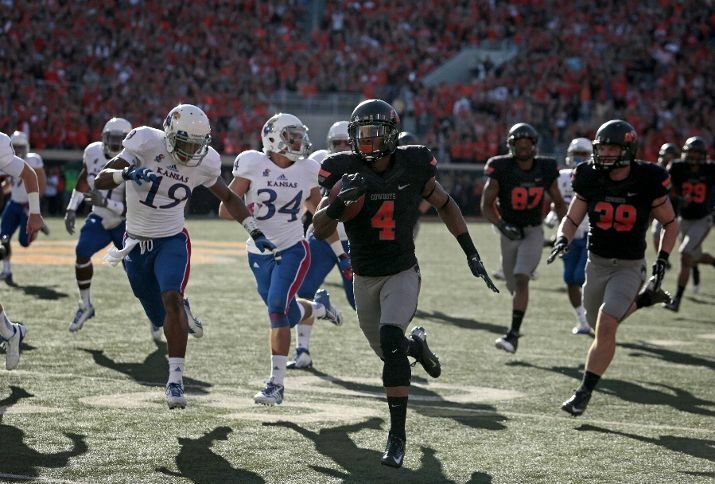 Gilbert and the Oklahoma State Cowboys dominated the Kansas Jayhawks, 42-6. Quarterback of the Cowboys, Clint Chelf was 19-37 for 265 yards passing. Chelf also ran for 17 yards and added 3 total touchdowns in the rout. The Cowboys will make the 450 mile trip to Austin on Saturday. Matching up with the Texas Longhorns, who are still unbeaten in Big 12 play. Game kicks off at 2:30 on Fox. ← “The Dirty Game” or is it?